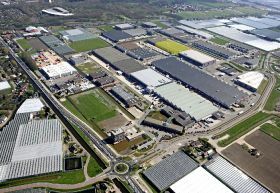 Kloosterboer has announced that it is transferring its interest in Varekamp Coldstores Holland, located in Poeldijk, to Nowee Fresh Logistics Holding as a result of a strategic choice. The company name Varekamp Coldstores Holland will remain in force when the deal goes through on 1 March 2019. Alex Kloosterboer, CEO of Kloosterboer, indicated that the fruit activities of the Kloosterboer group will be more concentrated in Kloosterboer Cool Port in Rotterdam. With its 40,000 pallet positions, the sustainable BREEAM-certified building and its multimodal location, Cool Port is well equipped to accommodate fruit handling efficiently for its customers – while the participation in Varekamp Coldstores Holland no longer fits in with the future strategy of the Kloosterboer group. Willem Nowee, owner of Nowee Fresh Logistics Holding and general manager of Varekamp Coldstores Holland since 2005, was enthusiastic about the acquisition. "We have a beautiful clientele in the Netherlands and abroad, a first-rate location in Westland near the port of Rotterdam and excellent facilities," he said. "Our partners, with whom we collaborate, are all specialists in their respective fields. Our ambition is to further develop the growth in our services over the past few years. "With this focus and our passion for fresh-food logistics, Varekamp takes the next step as a reliable link between customer and its European sales market," Nowee added.